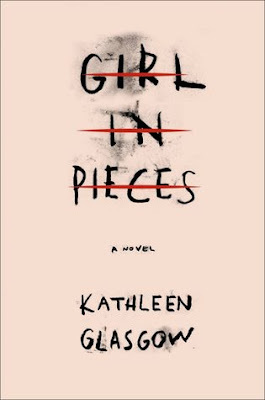 It's taken me a while this month to choose which book was my favourite, not because I read so many novels, purely because the ones that I did read all affected me in some way but because there can only be one book of the month for February I finally decided on Girl in Pieces by Kathleen Glasgow. This is a story that I'd describe as hauntingly beautiful. But before I proceed with this review I will give a trigger warning that there will be talk of self harm and suicide both of which are sensitive subjects to deal with. The story begins with a description of someone being left outside of a hospital, abandoned, left broken, bleeding. Seemingly orphaned. It's a dramatic start that instantly commands you to turn the pages of the book. Charlotte, the protagonist, hasn't had the best of lives, losing her dad early on and dealing with a mother who appears to lack a certain maternal instinct. But what she did have was a friend, Ellis, well until she didn't. Now in a mental institution, silently dealing with therapy, Charlie is definitely a girl in pieces, a person left with no hope, no purpose, feeling oh so alone. And her recent way of 'dealing' was to cut herself and drown her sorrows with alcohol so just how can she get past this? This isn't your typical page turner, it is slow building, no instant drama and this I found utterly refreshing. What Kathleen Glasgow has created is a novel that I quite happily read it one sitting, 3 hours of page turning, I literally just couldn't put it down. Written in short chapters, you get little bursts of feelings with each bit you read. It isn't all hearts and flowers, it is raw, emotional and completely honest. Nothing is sugar coated in this tale, no detail missed. I'd go as far to say that the story was extremely dark in places. As the reader you begin to empathise, to sympathise, feeling the pain, the sorrow, a complete emotional rollercoaster. The way it is written is almost poetic and is we go on a journey with Charlie you are involving yourself in all her highs and lows, the trials, tribulations and set backs of rehabilitation. With each chapter as the reader you feel like you're peeling back the layers, uncovering more of what's underneath. I won't go into full details as I think you should get to read it all first hand and let the atmosphere build up around you. 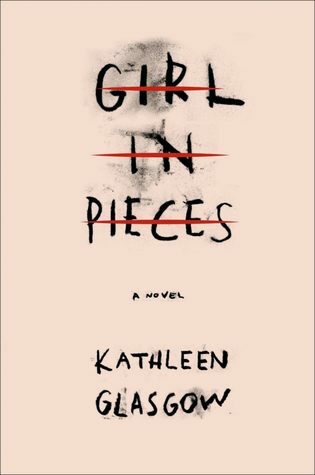 What I will say is that Girl in Pieces is a piece of literature that despite the issues conveyed, by the end you are left with a sense of hope and like the front cover says, I think it is a necessary book, one that highlights issues that should be discussed more. This sounds really good! I will definitely be looking out for it, thanks very much. Like mumjd I'm not sure whether this would by my kind of book, it sounds very raw and emotional. Wow, this sounds like it could be quite a challenging read, like others I'm not sure I could face it to be honest. But your review makes me think it's worth reading. Ah I'm torn!